We know the moving business and we know if one ever needs a reason to move to Sussex it’s our annual bonfire celebrations. 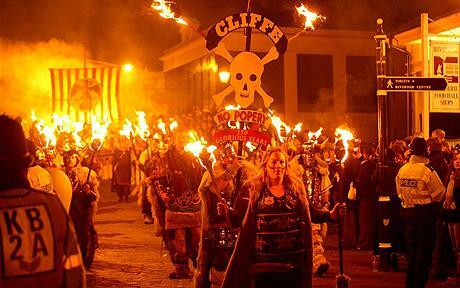 When it comes to November the 5th, at Edward Baden we are firm believers that nowhere does it better than Sussex, with 3 months of Bonfire night celebrations culminating in the phenomenon that is Lewes Bonfire night. It’s something that everyone should experience at least once so some of the team braved the cold and headed down for some week night entertainment and were certainly not disappointed! Being held on a Monday there were reportedly half the number of people in attendance as last year’s Saturday celebrations and it was certainly noticeable. Far from being a negative however, the atmosphere created by the smaller crowds was much friendlier than previous years, and being able to move of one’s own accord was a definite bonus! Once the procession ends there always remains the annual debate of whether to attend a bonfire or find a vantage point to see all the displays at once, but with the temperatures hovering just above freezing last night getting as close to a bonfire as possible seemed like the only sensible option. Not being affiliated with a society ourselves we were limited in options and chose to head along to the Commercial Square celebrations, and were certainly not disappointed by either the burning of effigies or the fireworks themselves. All in all the night was thoroughly enjoyable and we can’t wait for the next one! In the mean time if you decide to relocate to Sussex in time for next years celebrations speak to us so we can make your move go off without a bang!